Held 3 repair cafes for local Lake Macquarie Sustainable Neighbourhood groups. 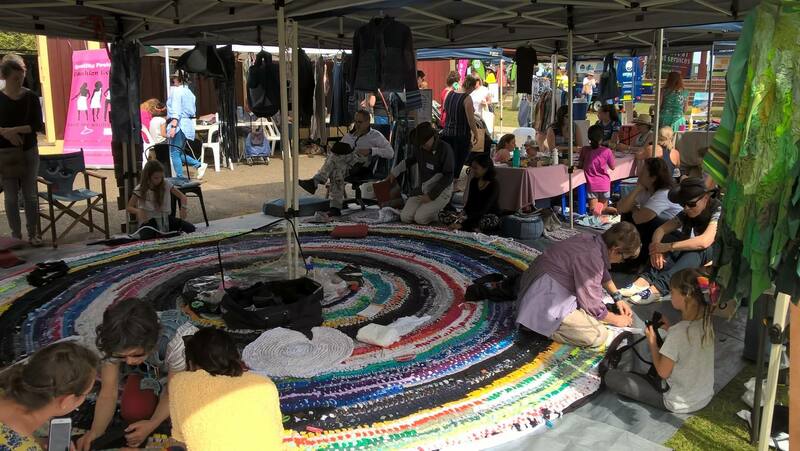 Been successful in obtaining an Environmental Sustainability grant from Lake Macquarie City Council to run a waste education and upcycling project in primary schools using a T-shirt Rag rug activity. Joyful: If it’s not fun and not adding to your life, something’s not working. Viral: it spreads rapidly and to unexpected places. Open source: people shape and enact Transition, democratically and freely. Self-organising: it is not centrally controlled. People make it their own. Hopeful and constructive: it’s not about campaigning against things, but working for a world that has embraced its limitations. Iterative: it learns from its successes and failures. Clarifying: it offers a clear explanation, based on the best available science, of where humanity finds itself. Sensitive to place and scale: Transition looks different wherever it goes. Historic: it tries to create a sense of this being a historic opportunity to do something extraordinary. Most of these apply to Upcycle Newcastle—it clearly belongs in Transition Newcastle. We could do more with some of them, but this depends on people with the time, interest and necessary skill becoming part of the team. I hope that over time, Transition Newcastle might take up other projects as well. It’s interesting to see that Transition Streets has been taken up in quite a few other cities now, and it would be great if one day somebody has the passion and energy to get it going in Newcastle again. We’ve never wanted to compete with other groups and there are many great initiatives in Newcastle we could develop partnerships with, or simply support their work. There are our friends at Permaculture Hunter, CleanAs, Beyond Zero Emissions, Newcastle Climate Justice Uprising, the Hunter Community Environment Centre and the Wilderness Society to name a few. We’ve recently been asked if anybody from Transition Newcastle would like to join a Newcastle organising hub with representatives from green, union, and social justice groups, who will meet quarterly to promote collaboration, share skills and resources, and find common ground. Thanks to Allan who has agreed to represent us in the group. 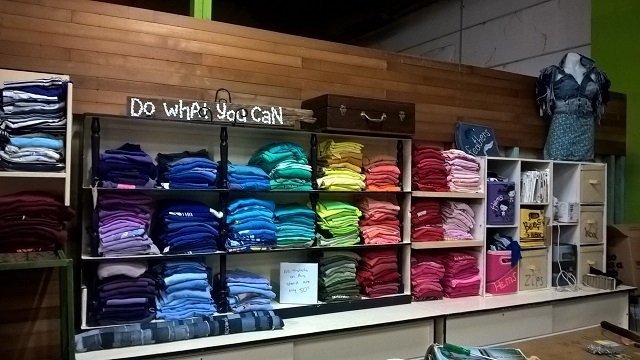 Transition Newcastle was one of the first Transition Groups to be established in Australia, and it is wonderful to see it still going strong. 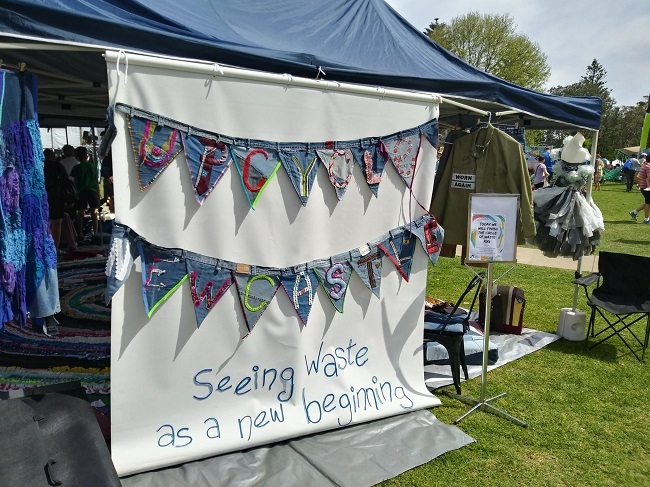 We currently have 1051 people subscribed to our e-newsletter; 1657 have liked our Facebook page; 1107 member of the Upcycle Facebook group, 296 people follow us on twitter and we have had over 11,200 views of our webpage over the last 18 month. We are now a registered charity which opens up some opportunities and we are in the process of ensuring we have the structure and processes we need to manage a growing social enterprise like Upcycle Newcastle. As I wind up, I’d like to thank all the people who have supported me as convenor over the last seven and half years, thanks to Lozzie who has agreed to replace me as convenor and to Lesley who is stepping down as secretary after 3.5 years. A huge thank you to all of you who have been working so hard to make Upcycle Newcastle such a success and who keep Transition Newcastle alive and well. We’ve never had some many people actively involved. Of course, without Cathy none of this would have happened. Her passion, determination and hard work are inspiring and we are all very grateful for all her time and effort. I’m still going to be actively involved, as secretary, and I’m looking forward to seeing where we are in 12 months as there is so much potential. Hopkins, R. (2011). The Transition companion: Making your community more resilient in uncertain times. White River Junction, Vt.: Chelsea Green Pub. What is the Transition Streets? This entry was posted in Environmental sustainability and tagged Transition movement, Transition Newcastle. Bookmark the permalink. Thank you Graeme and Cathy and the organizers who have given so much to this important work and to those who take over the work – much gratitude. I know from the time with Transition Maitland that the work can be extensive. Thanks. Mark and Kate – Purple Pear Farm. Thanks Mark! Thanks for all the work you and Kate do too!